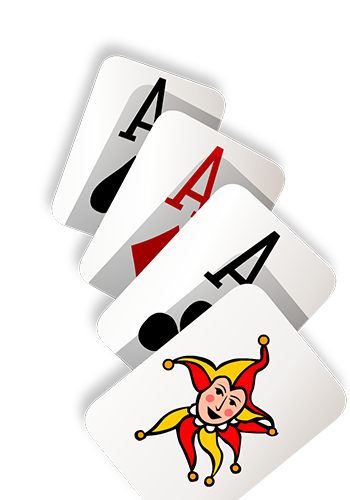 In this format, you have the help of a wildcard, the Joker. 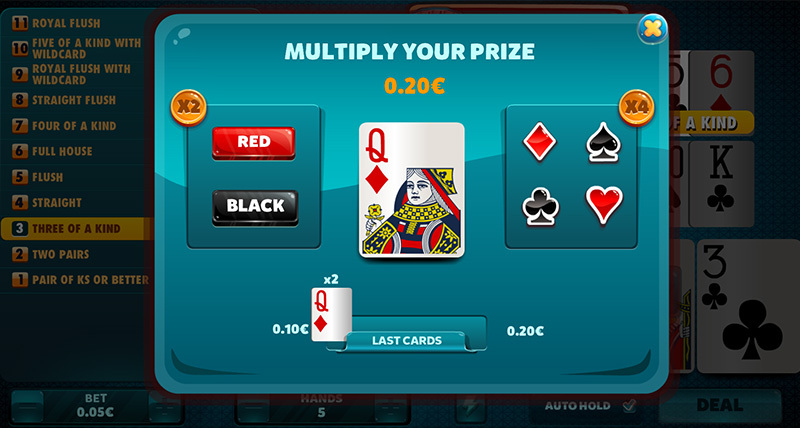 It will thus be easier to obtain combinations. 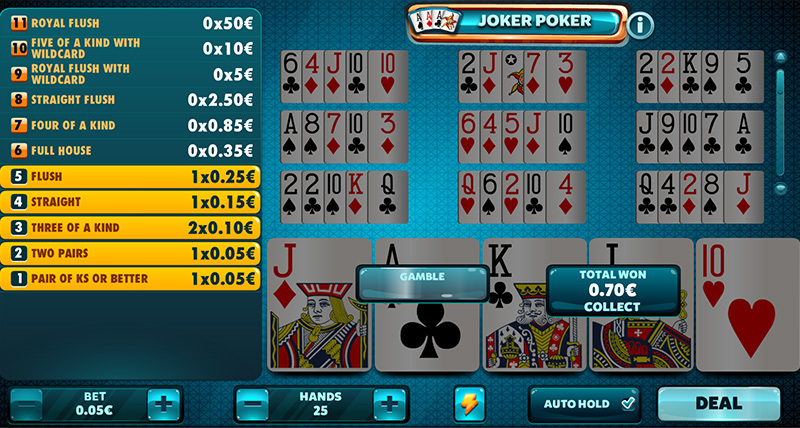 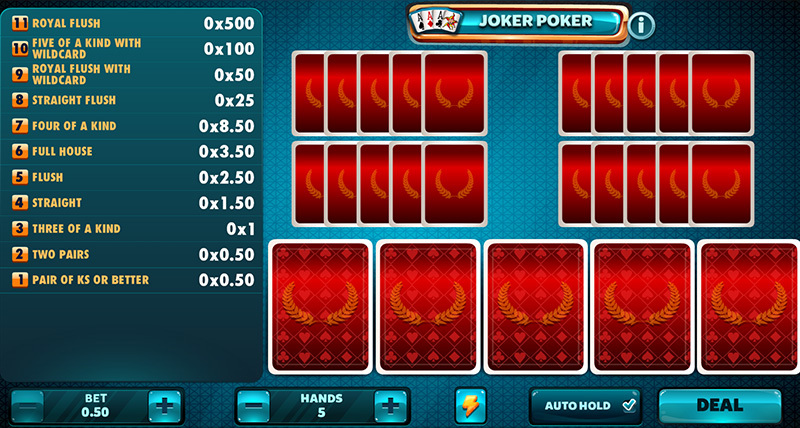 Joker Poker: Use the Joker to more easily obtain your prizes. 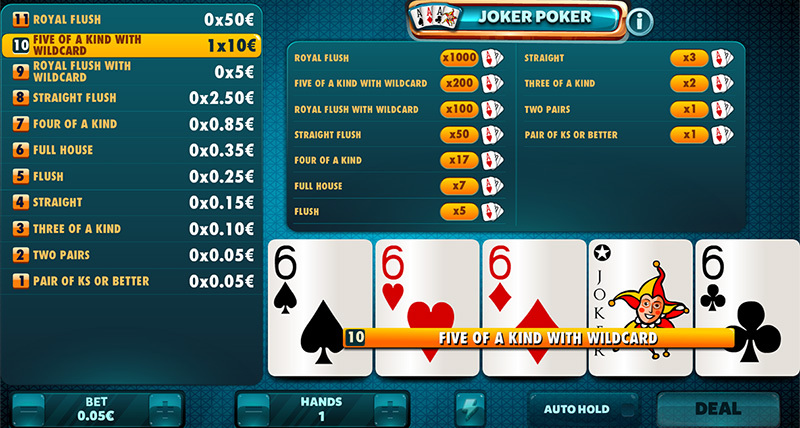 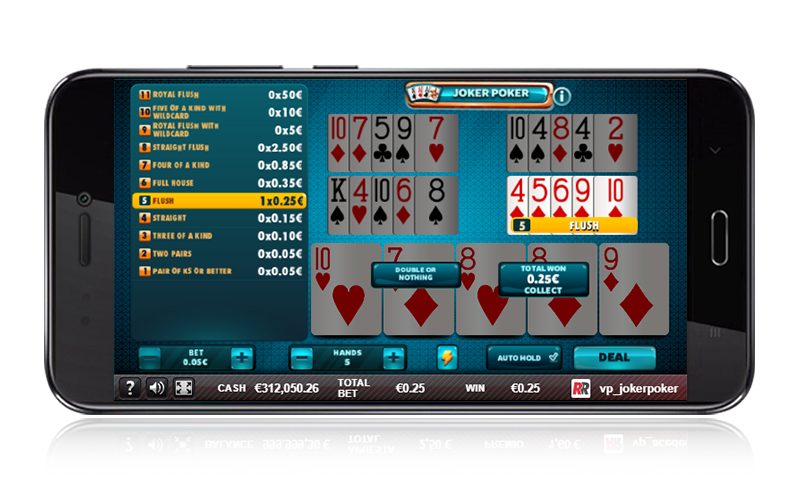 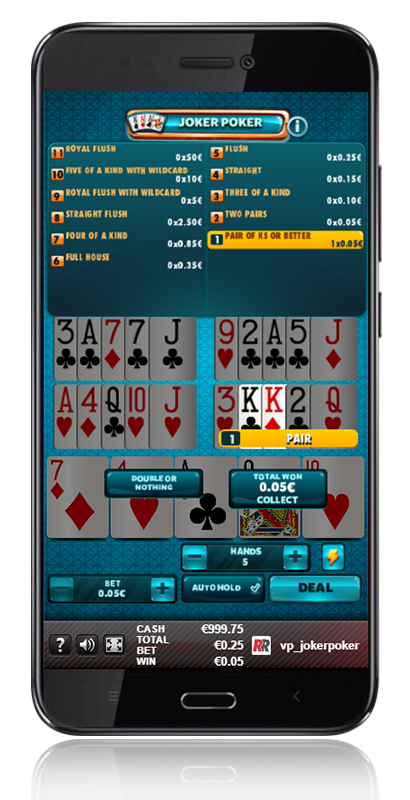 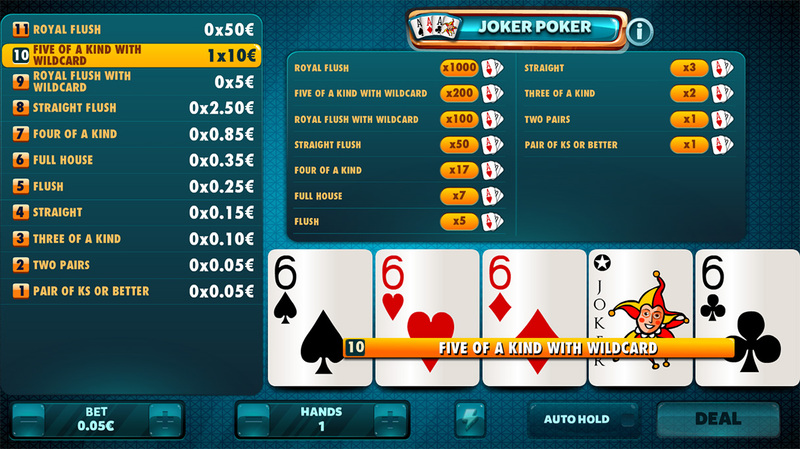 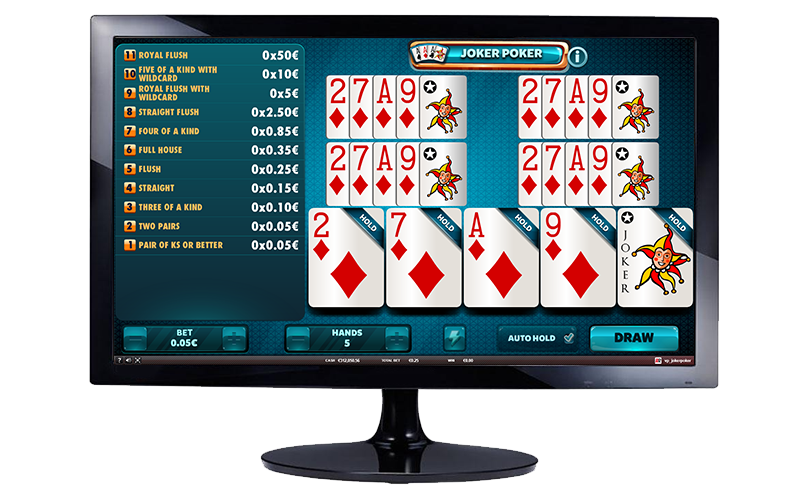 Joker Poker: Any hand equal to or higher than a pair of Ks will have a prize.